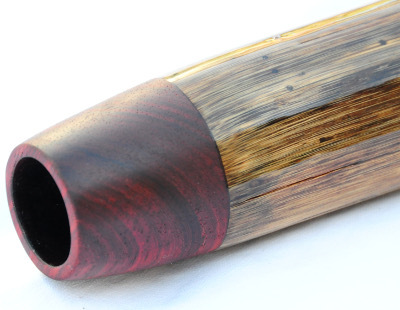 Many new agaves are on the site now with the addition of hand carved wood mouthpieces. 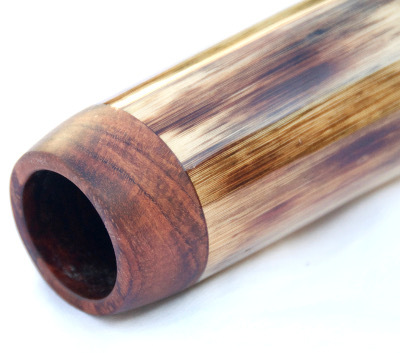 The wood mouthpieces are great to play on and don’t leave a residue after playing like wax does. They also are easy to clean and great for traveling. 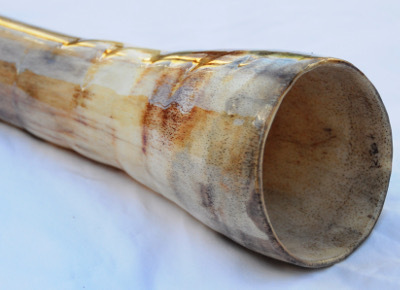 The openings are sized between 1.2-1.25″ depending on the didge. 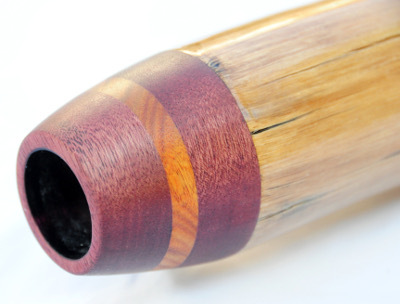 I am using a variety of woods including Bubinga, Wenge, Zebrawood, Cherry, Padauk, Agave, Mahogany,Shedua and more. Also check out some testimonials from individuals who have recently purchased didgeridoos from me. These thick Old Souls play with such power and have such a good feel to play and listen to. I have a ton of stalks in my shop waiting to be made but all four on the site I realize now I picked up on a recent camping trip. They were all ones I pushed to the front because I just loved having them at camp and thinking about what they would end sounding like. It is always a treat to find these older thicker stalks as their drone is just so rich. This one was has such a sweet drone and the overtones are so clear and compliment the drone so well. I felt with the really light colored wood it would be accented nicely by the purpleheart and yellow tones of the canary wood and just looks so good to top it off. D is such a great note and I have probably played it most out when I play with other musicians. 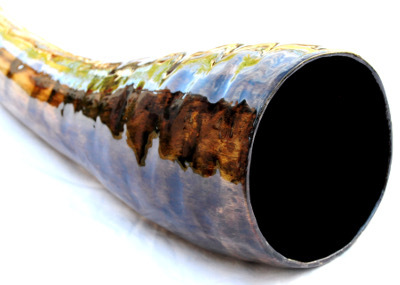 This would compliment other instruments of all styles with its ambient and percussive abilities. 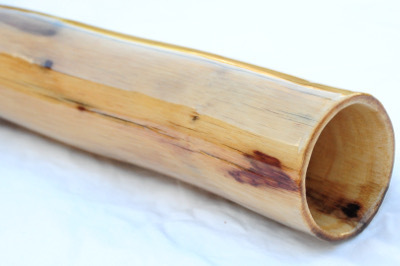 A solid didge that is also a great size for traveling around with and so sturdy with its stout sturdy walls. Amongst all these thick gnarly Old Soul agaves I found on my trip I found this sweet little gem. 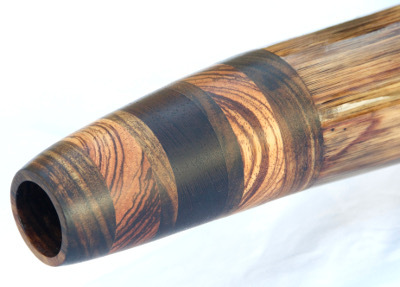 Stalks like these were made to play fast and have an extra gear with the thin walls and thinner neck and tapering to a 5″ bell. With the thin walls this one has a ton of volume and really loud and clear vocals. 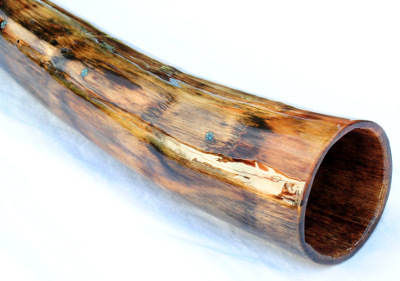 Also the shape of this stalk lends it well to overtones and percussive style of play. E is becoming more and more a favorite of mine and I have picked this one up quite a bit while making it as it is so explosive and fun to play. If you like to play quick rhythms and percussive styles this would be such a great fit while at the same time also excelling in an ambient style of play. A little powerhouse!